With his 12th tater of the 2013 season, a guy named Mark Reynolds took over the lead in the American League in home runs. Mark Reynolds plays for the Cleveland Indians, which is why you can be forgiven for having no idea who Mark Reynolds is. But that doesn't bother Mark Reynolds. If history is any indication, Mark Reynolds will continue to go yard and maybe lead Mark Reynolds's league in strikeouts by the end of the year, as Mark Reynolds did in 2008, 2009, 2010 and 2011. Mark Reynolds has never finished higher than 20th in the MVP voting; that was in 2009, when Mark Reynolds slapped a career-high 44 home runs for the Diamondbacks. 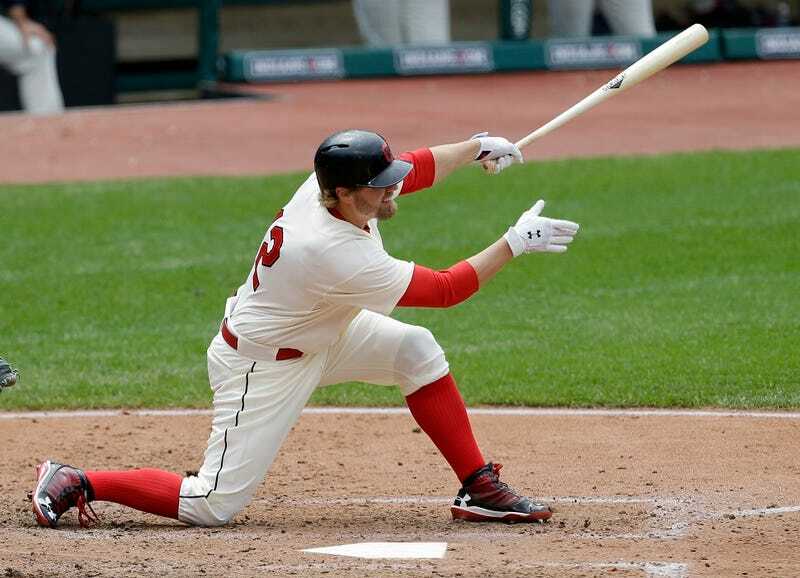 Point being, Mark Reynolds will keep swinging at the ball whether he hits it or not. Mark Reynolds is insistent like that. Mark Reynolds hit a walk-off fielder's choice to beat the Mariners today. Mark Reynolds's bat can beat you in a variety of ways. Three other gentlemen also hit their respective 12th home runs in the American League today. Baltimore's Chris Davis, Toronto's Edward Edwin Encarnacion and the Yankees' Robinson Cano all are tied for the lead. So Mark Reynolds has company. Can Mark Reynolds break from the pack? Will Mark Reynolds be in this conversation come September? (Hell, come June?) These are questions that will have no answers until Mark Reynolds's destiny arrives. We are all witnesses.